The BBC’s unique position as a public service broadcaster brings both big opportunities and big responsibilities for the people that work here. If you join us, we’ll expect a lot from you – but you’ll have the chance to work in a role that will challenge and stretch you. We employ over 20,000 staff, working everywhere from content production and news gathering to new media, business support and our five orchestras. Because of the number of roles we offer, and the fact that we encourage people to move across divisions and genres, there’s huge potential to grow and develop. We offer world-class opportunities to learn and develop inside the BBC. The BBC Training & Development Academy offers outstanding training in all areas of broadcasting – so good in fact that it also trains the wider industry. We care about our people, and take our responsibilities towards them very seriously. As well as fair terms and conditions, we also offer really impressive benefits. The BBC exists to provide the best quality content to our audience. As a public service organisation, funded by the licence fee, we’re not out just to make money. This allows us to remain true to our original mission to inform, educate and entertain. People at the BBC take this mission seriously and we expect everyone to put our audience at the heart of their work. Working at the BBC is not for everybody. It’s for those with real creativity, an urge to innovate and a desire to meet the needs of a truly diverse range of audiences. The BBC is one of the most trusted organisations in the world. Each day our content is consumed by over 228 million people across the world. Our heritage of award-winning entertainment and information covers everything from the work News 24 to the Natural History Unit and famous brands such as Doctor Who and Top Gear. There are no jobs with BBC at the moment. Sign up to email alerts below to get notified when new jobs are added. 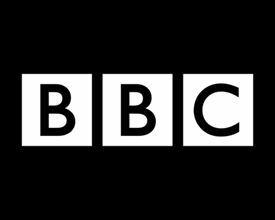 Get the latest jobs from BBC sent direct to your inbox!